A pan-cultural enactment of the vision quest ceremony for our times. This program, open to both men and women, will be held in the high desert Inyo Mountains--"the dwelling place of the Great Spirit." Offered in the tradition of Rites of Passage , which has been guiding these programs for 40 years. We offer a range of modern and ancient tools to participants, with a focus on learning about oneself and one’s gifts in the context of the natural world. The Four Directions teachings, first presented to Rites of Passage as the Medicine Wheel by Hyemeyohsts Storm over 40 years ago, provide a deep and powerful foundation for understanding ourselves as co-participants in Creation with the entire natural world. In this workshop, we explore each direction through discussion, sharing, time spent with assignments in nature, telling the story of these encounters, and mirroring of the stories by staff and participants. From the leaders: "As a father/son partnership, we shine a light on this father hunger and together bring into view a deeper form of fathering to better serve the young among us, those beside us, and the times ahead of us. A type of fathering that is both human-making and culture-building." 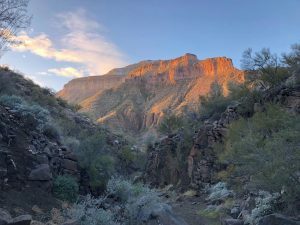 A pan-cultural enactment of the vision quest ceremony for our times, this nine-day Wilderness Quest is set in the beautiful Funeral Mountains of Death Valley National Park. This is a classic Wilderness Quest program welcomes both men and women and is in the tradition of Rites of Passage , which has offered this program for over 40 years. We offer a range of modern and ancient tools to participants, with a focus on learning about oneself and one’s gifts in the context of the natural world.